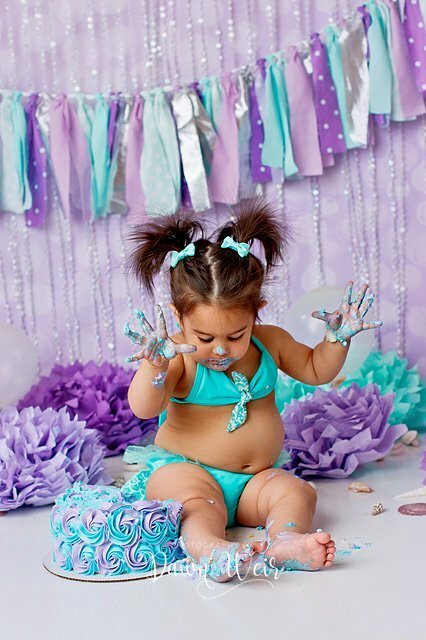 Happy Birthday sweet Azalea! 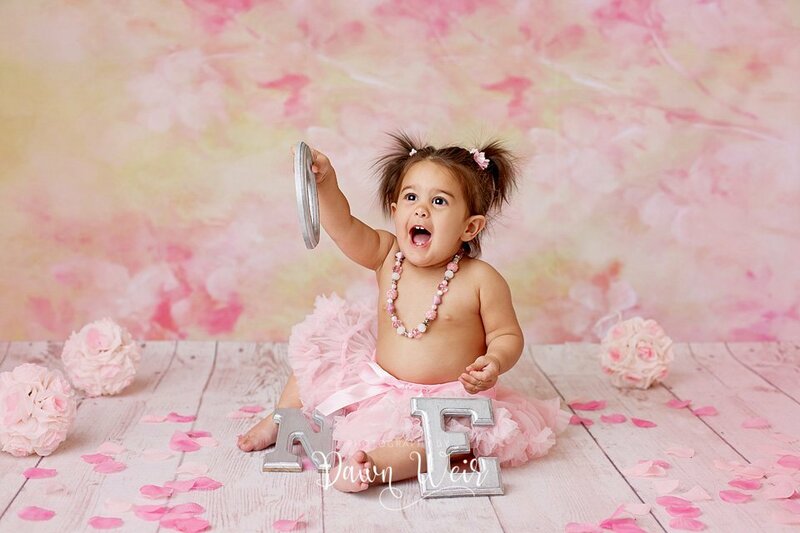 You are so adorable…I can’t even put it into words! 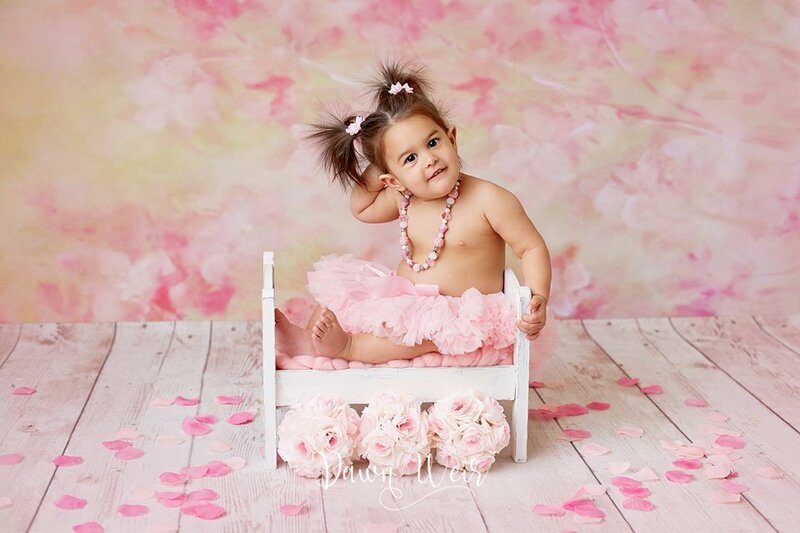 Love your little pig tails! 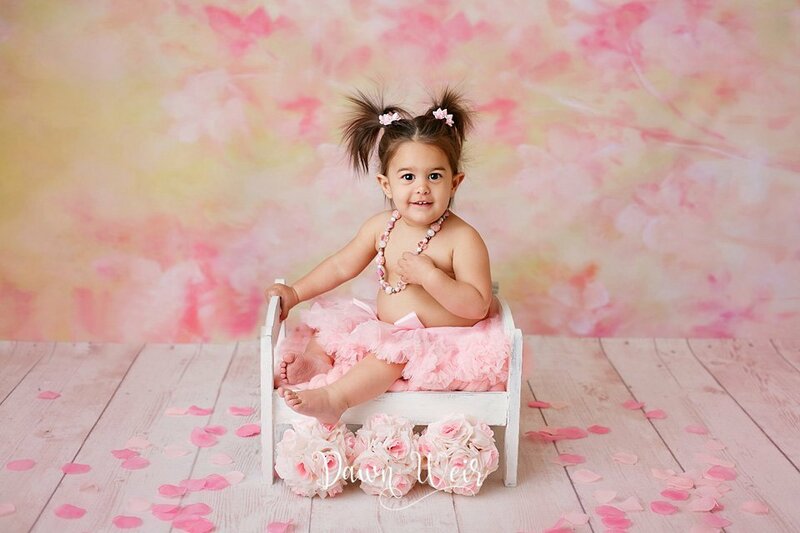 I love how the colors and the flowers of the pink set turned out. 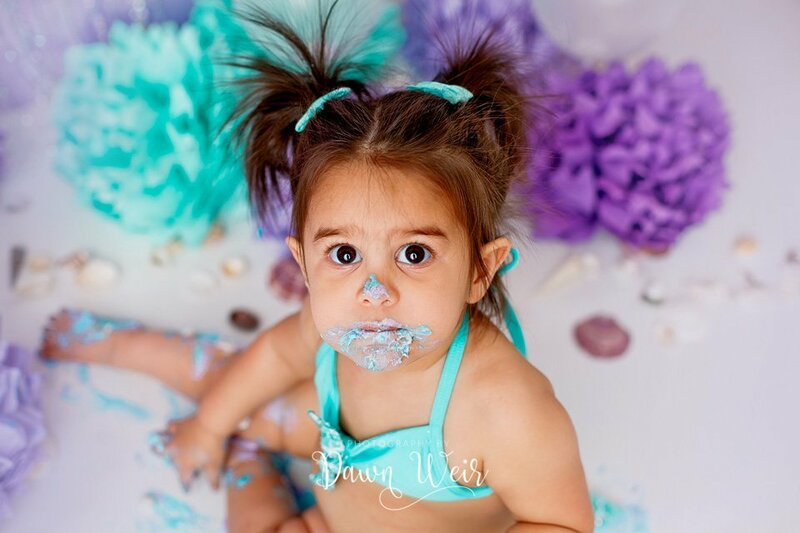 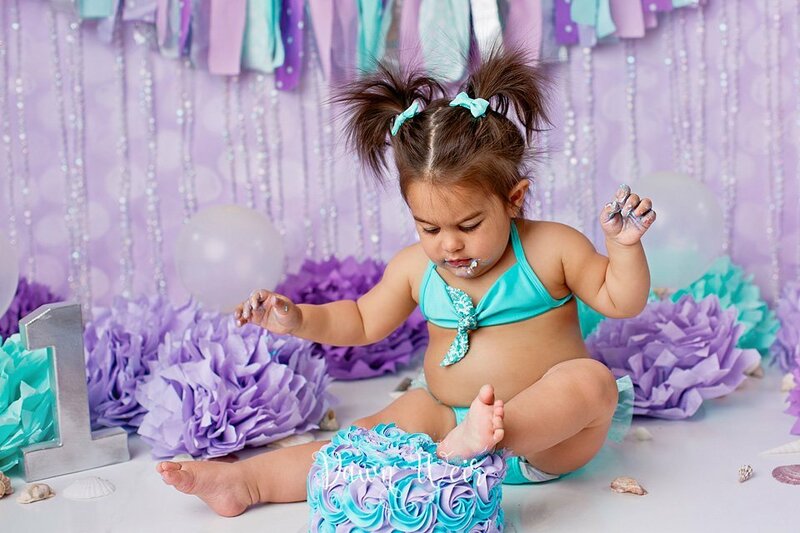 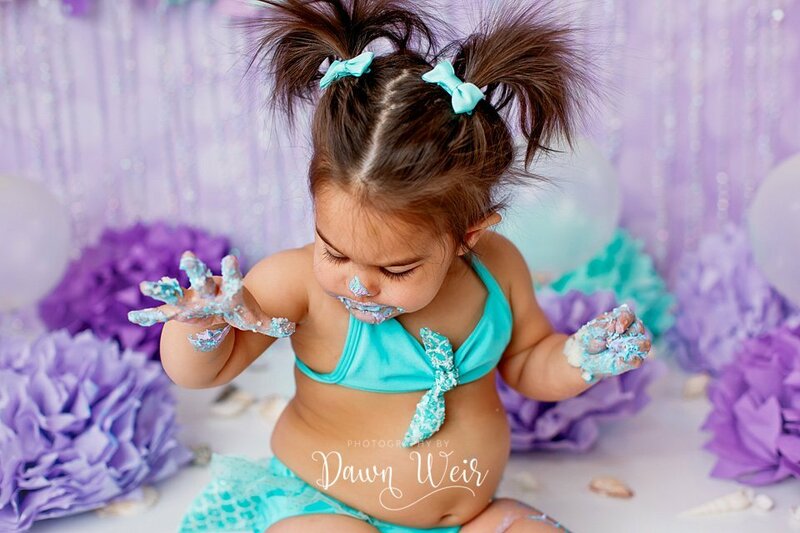 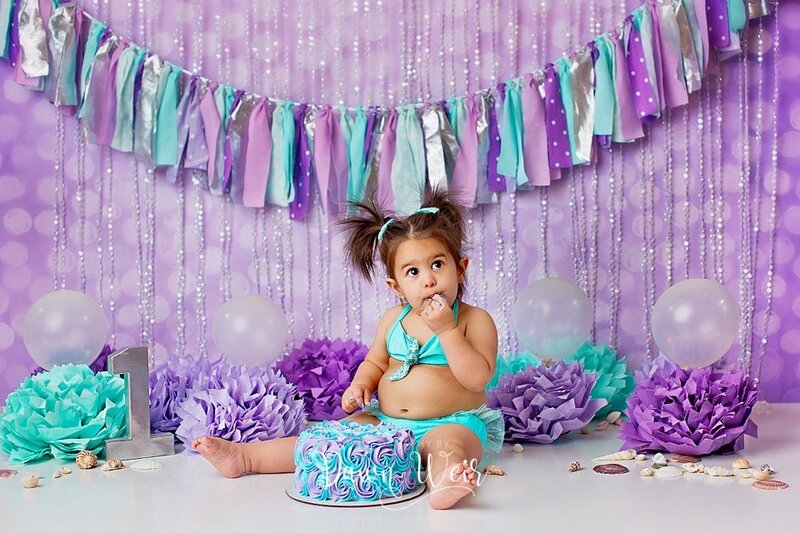 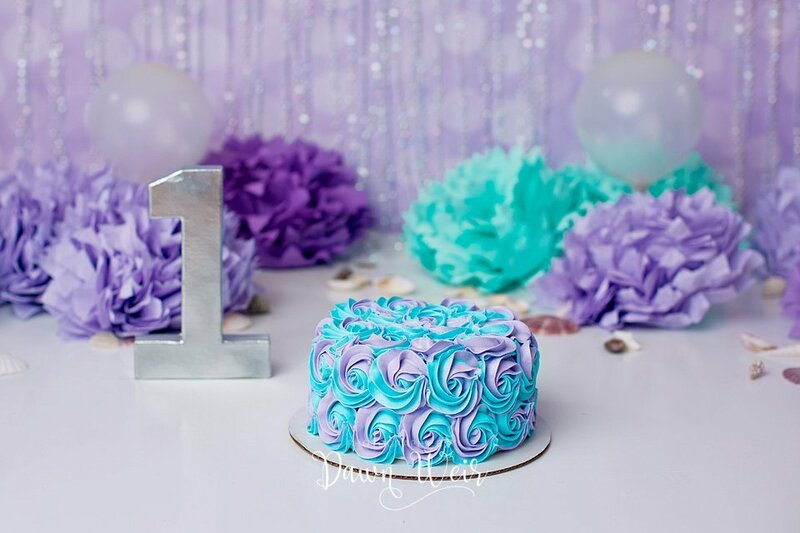 The mermaid cake smash session was simple adorable!